The iconic deep-red, lush chairs at the cinema are just as inherent to the movie-goers experience as the trailers or the popcorn. So no wonder many home theatre owners are on the hunt for an equivalent for their own film paradise. 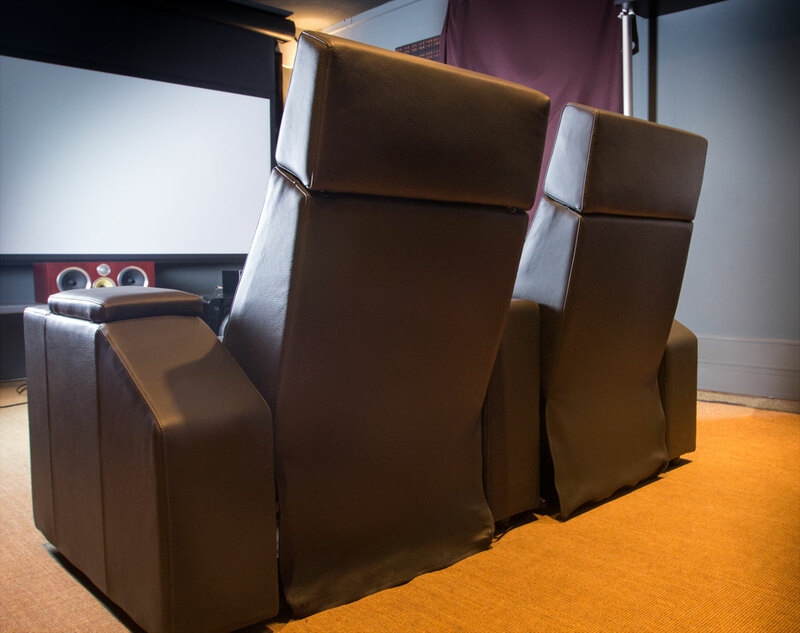 This wish has been fulfilled by Moovia with its home theatre chairs now providing quality seating for the private movie theatre – not only in red. As the name is most likely unfamiliar, let’s do some background work. Behind this brand is more than a decade successful, Baden-Württemberg-based manufacturer Visivo, which offers a ride range of projection screens. 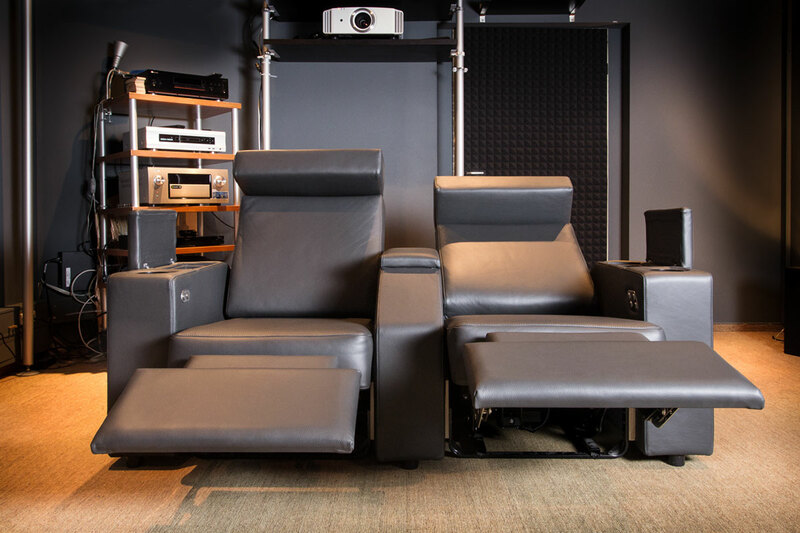 Under the new name with the existing portfolio will be supplemented by exclusive home theatre chair, knowing that both conceptually and qualitatively convincing. The stated goal of the designers was not only to provide with Moovia for an optical eye-catcher in its own private cinema, but to be considered in the development especially ergonomic aspects. Venice, Berlin and Stockholm – – After this proviso three models have emerged, which are extremely stylish to look at and also sufficient offer at Filmprogramm-long comfort and coziness. In the production Visivo relies exclusively on high-quality materials and consequently all specimens in their own factory in Germany are completely produced by hand. These comfortable production conditions offer in more ways than benefits. On the one hand is at each chair to a carefully crafted unique piece, on the other hand, there is a particular flexibility in terms of implementation of special requests. While the models Venice and Berlin are standard fully dressed in leather, have the chair of the Stockholm series on the sides fine wood veneers. Foot rests and backrests are adjustable in all three models, an adjustable headboard is the two last-mentioned subject. The adjustment of the elements, either manually by spring mechanism or by using built electric motors. 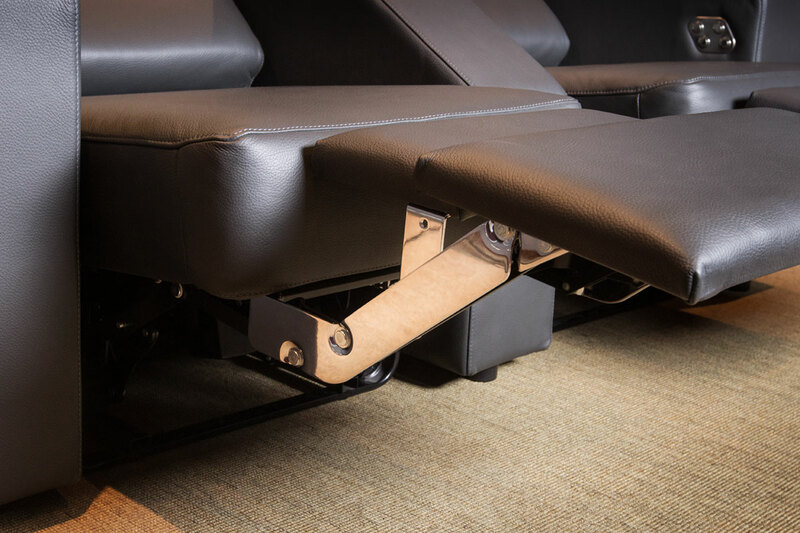 In the latter case everything is of a combined mechanism for backrest and footrest to three separate motors feasible, the controls are then easily accessible on the inside of the armrest. In addition to individual chairs are alternatively two or more seaters, which are either separated by each arm, or even survive in the few suitable loveseat variant without a middle seat. 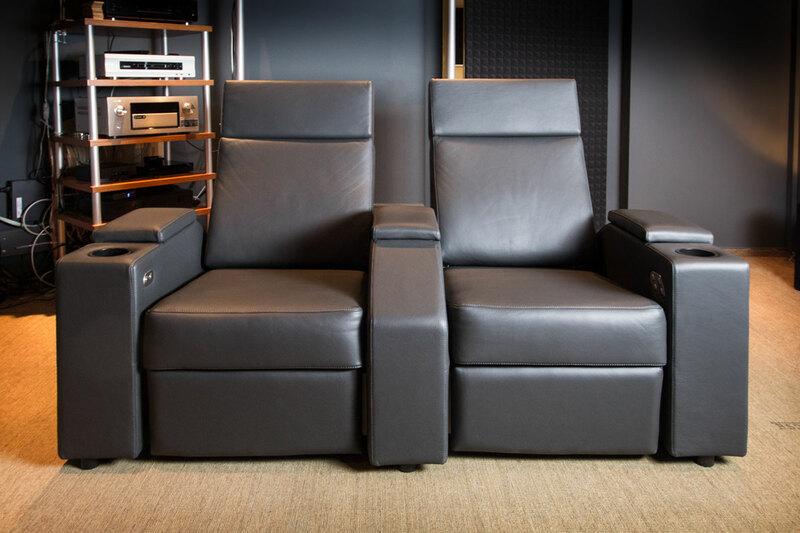 Depending on the desired installation – in series or half-round – are rectangular and trapezoidal armrests to choose from that are equipped with cup holders and storage compartments hinged. 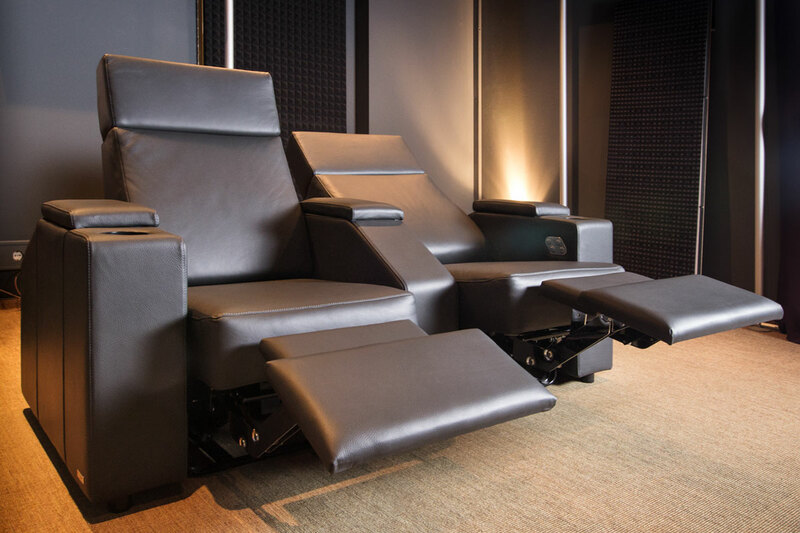 Thus, the fundamental and already quite diverse options of Moovia home theater chairs are basically described and yet there is still more to discover, because on request of individual production thanks be quite far-reaching interventions in basic variations possible. So as fabric covers are available as an alternative to the leather upholstery and color can be customized to implement ideas. In fact, theoretically, there is even the possibility of special surface materials for the production of Moovia chair to deliver himself. The situation is similar to the issue of arms, whose dimensions can be adapted for example to specific spatial conditions.